#3DxJewelry – Dropping Form Designs 3D Printed Metal Jewelry #3DPMetal #3DThursday #3DPrinting « Adafruit Industries – Makers, hackers, artists, designers and engineers! Dropping Form Designs specializes in earrings, jewelry, accessories, 3D Character creation, Prop Modeling, 3D Animation, etc.. They have been taking advantage of a range of Shapeways materials and treatments to create expressive jewelry and art objects that pushes towards playful cosplay directions. 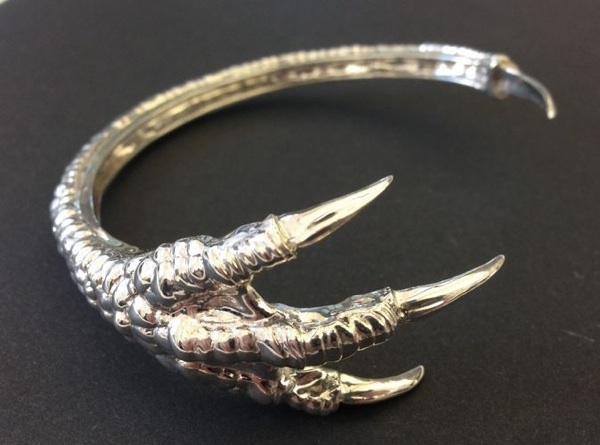 Beautifully designed Dragon Claw Bracelet. Wearable on the forearm as well. 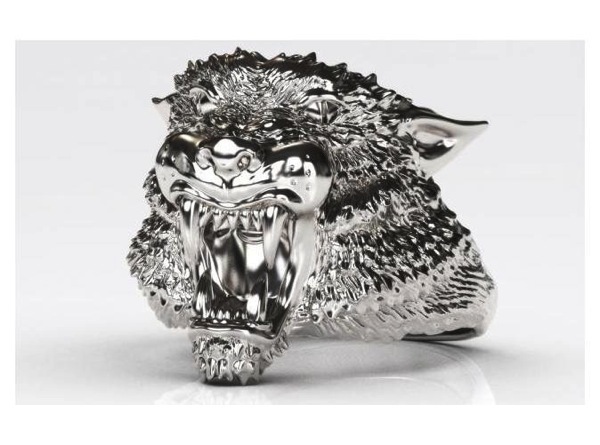 Detailed Growling Tiger Ring made especially for Sterling Silver, also available in many other materials.